Super Stick Golf is a quirky 2D golf adventure game that plays like the front nine but feels a bit like mini golf meets Atari on a never ending golftrip. 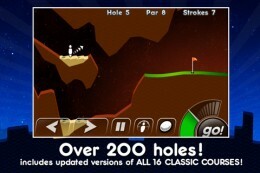 Those familiar with Noodlecake‘s original Sticky Golf will be pleased with the new rendition of the well received classic. 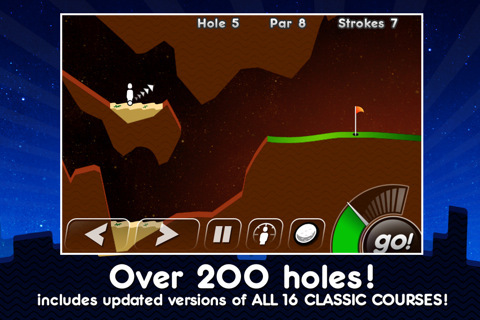 The game boasts 216 holes, meaning you can hack away for days without running out of fairway. 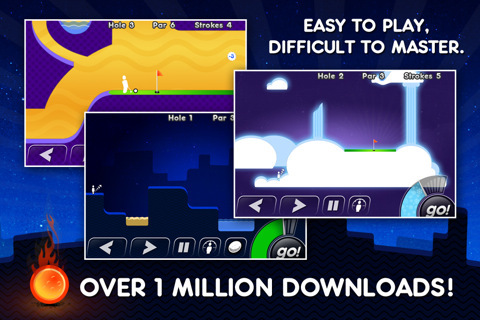 From a design perspective, Super Stick Golf is well executed. The graphics look sharp but intentionally 2D and the soundtrack features the kind of classic 8-bit chiptune sounds that hark back to the days when you fell in love with gaming in the first place. The controls are simple, straightforward and easy to figure out. The only fundamental elements you have to worry about in a typical Super Stick Golf shot are upward trajectory and intensity, meaning you don’t have to worry about hooking or slicing. Instead it’s all about the right and left directional pad for trajectory and hitting “go” with the right timing to control how hard you hit a shot. Conceptually the whole game is overwhelmingly simple, but just like in real life, sometimes those sand traps and water features can be a real bear. Every hole is a little different, and as you advance you end up immersed in multilevel fairways with Mario looking landscapes full of drop offs and more. Noodlecake did a great job creating the layout for the holes, and more than a few times I spanned over the course and laughed with appreciation for the intricacies of the design. Hit the links long enough though, and you start to acquire the kind of power clubs that change everything. There are six power ups in all, and they let you freeze water features so you can hit right off of the water, put brakes on the ball to stop it in mid air and much more. If you thought golf was fun, this adds an entirely new dimension to the mix and it’s more than rewarding. 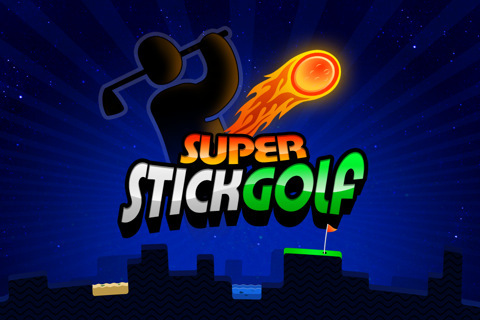 If you liked Stick Golf then Super Stick Golf is definitely worth the buck, and if you’re new to the game then this is still an excellent intro. It’ll take some practice to hit par, but no matter how many strokes it takes to master the course, it’s still a complete blast. 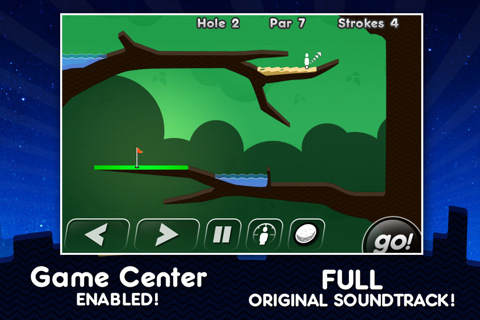 Bottom Line: Super Stick Golf your iPhone into a cartoonish 2D golf experience. Play through to the power ups and you’ll be thankful. This is golf with the fun turned up.